Real wisdom is not about just getting a degree; that’s academic knowledge, which could be helpful. Real wisdom is to see the hand of God and to see how to reciprocate with the hand of God, and to be grateful! 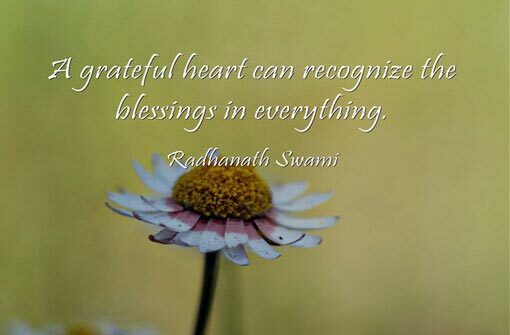 A grateful heart can recognize the blessings in everything. An ungrateful heart never recognizes any blessing, and therefore cannot grow in that blessing. Gratitude is one of the most essential human virtues for real inner prosperity and real inner happiness. And it especially helps us reconnect to the divine.